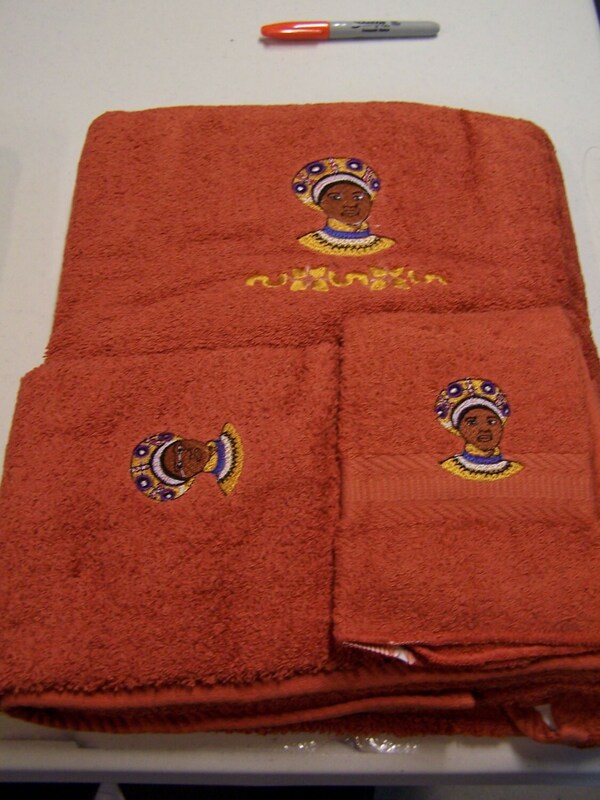 Ethnic Brown Skinned Angels, African Mask and South African Woman embroidered on 3 piece towel Set. 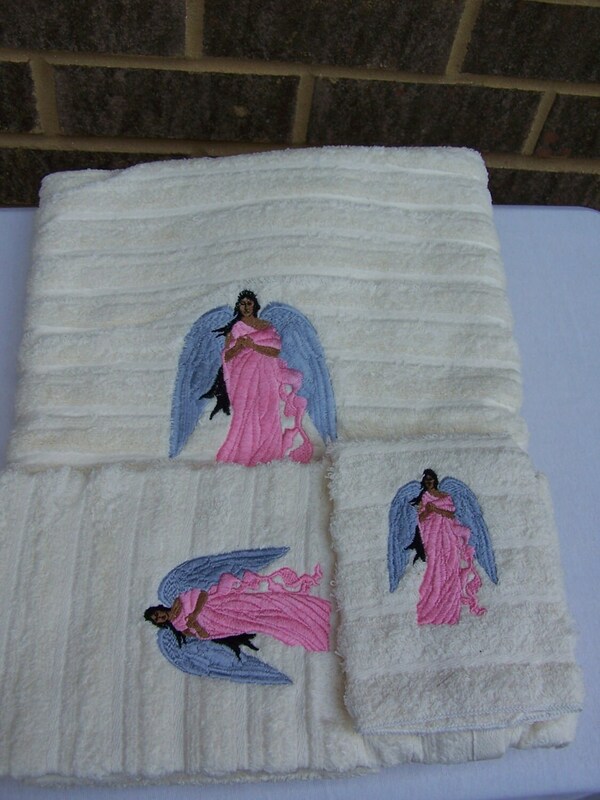 We currently have one of each of the following sets in stock. 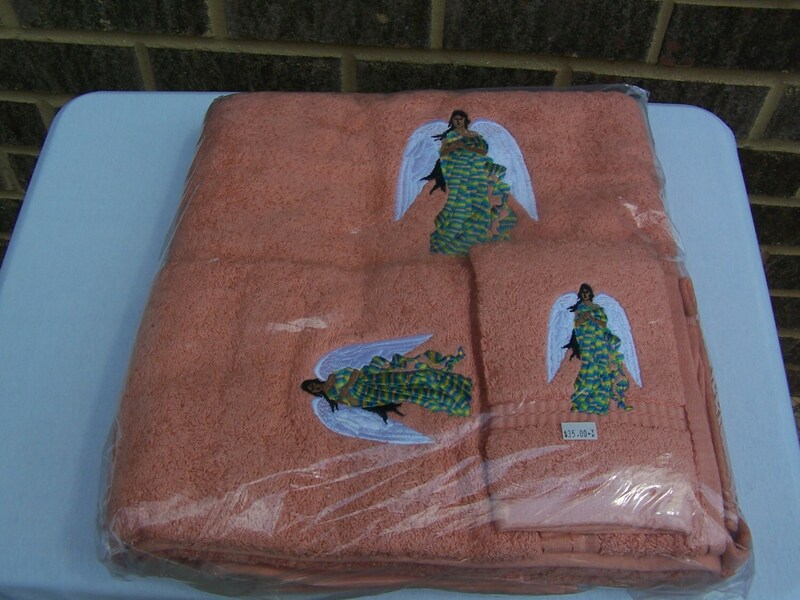 Sets consists Bath towel, Hand Towel and Wash Cloth. All 100% Cotton. Washable. 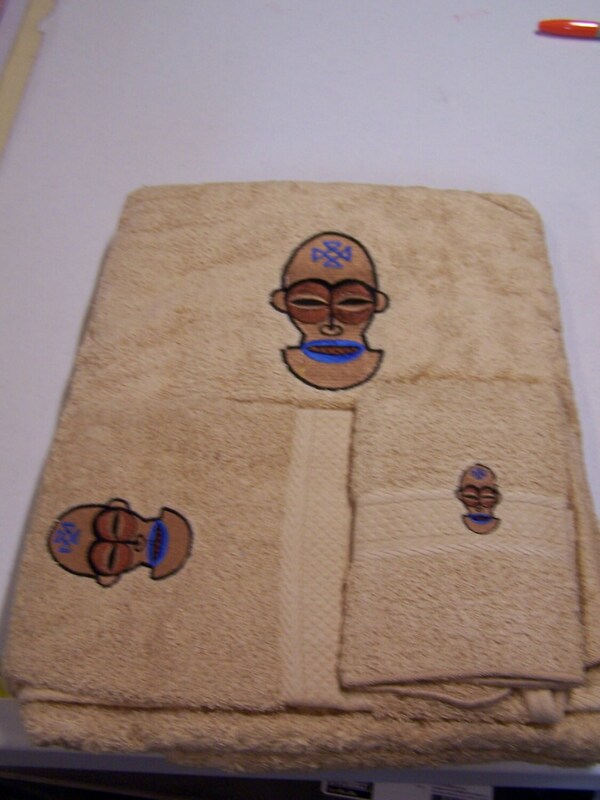 Perfect fathers day, holiday, birthday or any occasion gift for house warming, birthday, hostess gift. 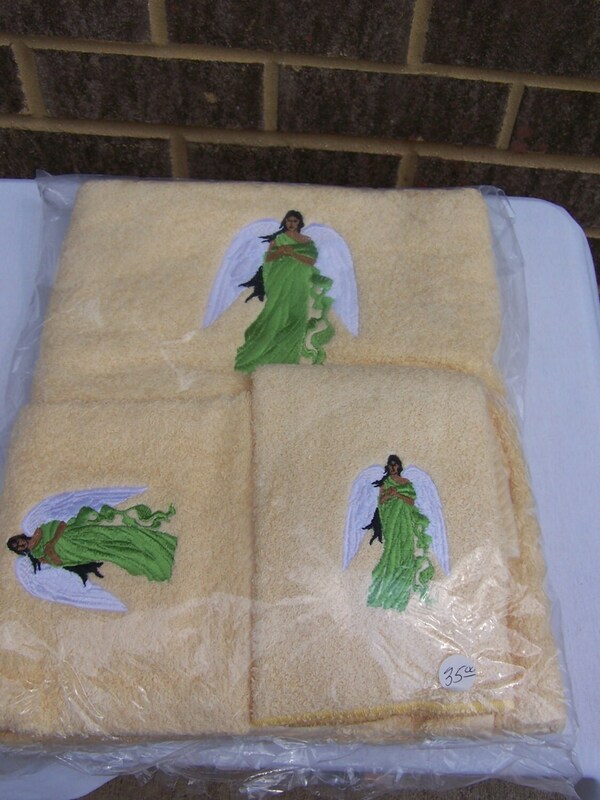 Approximate towel sizes: Bath 30" x 54"; Hand towel 16" x 26"; Wash Cloth 13' x 13"
We ship via USPS Priority Mail, Monday thru Friday at the discounted rate shown.